The ruling All Progressives Congress, APC, Sunday declared that Kano state remains APC state. 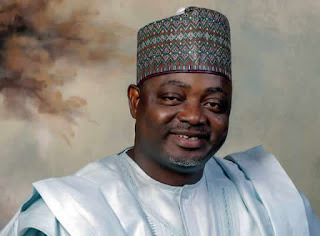 The party said this in a statement issued by its spokesman, Mallam Lanre Issa-Onilu. The party has accused the state police commissioner of subverting the will of the people of Kano state by assisting PDP to rig the governorship election in favour of the party. His words, "The opposition PDP camp in its self-deceit has continued to delude itself on its nonexistent electoral chance in Nasarawa local government area. The Kano electorate are not deceived. "Considering what happened in the inconclusive election widely characterized by PDP vote buying and voter intimidation, relevant agencies must ensure that such antidemocratic practice is not repeated. "It is on record how the Kano State Police Commissioner actively assisted the opposition PDP to rig inside Kano city with the deployment of police security for Rabiu Kwankwaso loyalists while state commissioner’s orderlies were withdrawn. "Kano remains an APC state. With the massive votes garnered by our presidential candidate, Muhammadu Buhari; the entire incoming 9th National Assembly positions – 3 Senators and 24 House of Representatives – won by the APC in Kano State; 27 State House of Assembly seats won by the APC out of 39 and governorship election victories in all local governments outside Kano metropolitan, there is no doubt that Kano State is a stronghold and key support base of the APC. "The APC’s visible achievements in Kano state under Governor Abdullahi Ganduje are enough to give the party an emphatic victory in the rerun election. Again, the rerun will be mostly in APC-controlled rural areas and Nasarawa local government area where our Deputy Governor, Nasiru Yusuf Gawuna is from. Undoubtedly, Kano state remains an APC stronghold and remains in our firm control.